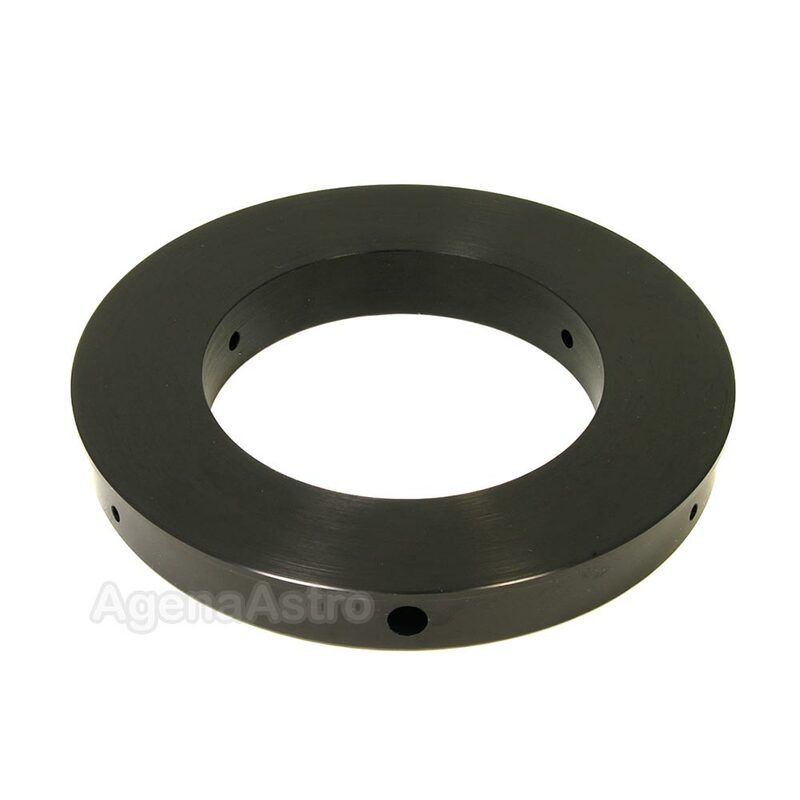 Antares Adapter Ring to Attach 86mm GSO Focusers to 5.4" ID Telescope Tubes (Synta) # S150. Antares sells a variety of adapters/bushings to attach GSO's refractor focusers to some other telescopes. All adapters are machined out of aluminum and anodized black. Mounting screws are included. On the telescope side, this adapter is designed to fit inside telescopes with an inside tube diameter of 5.4" (137.2mm). These include several 150mm aperture telescopes made by Synta and sold under the Celestron, Konus, Orion and Sky-Watcher brands. Important Note: Before ordering this adapter, please remove the existing focuser on your telescope tube and measure the inside diameter of your telescope tube carefully to ensure that this item will fit.